A spokesman for a controversial website that intends to tell the public what dealers pay for the boats they sell says critics should wait and see the site when it goes live, rather than rush to judgment. "If the consumer experience is improved, we think it is ultimately good for the industry," says Dave Taylor, one of two industry veterans closely associated with the SeeDealerCost.com venture. Taylor, speaking on behalf of the site, says it&apos;s time for the boating industry and other recreational product providers to embrace a more consumer-friendly way of doing business. "Customers expect easy access and transparency with information and pricing, and to be able to get that information on their own terms," says Taylor, who was senior vice president of sales and marketing for the US Marine division of Brunswick Corp. before joining the new venture. "If you look at the recreational products industry, it really hasn&apos;t kept up with the times in this regard," he says. "There&apos;s a real lack of transparency regarding information, pricing, and that causes what we feel is a pretty high level of frustration ... and also distrust of the retailer." The website, which was expected to go live in mid-February, is being created by a privately owned company Taylor declines to name. He says he and fellow industry veteran Jack Malone have been incorrectly identified as creators of the site. Taylor says he and Malone are "employees," who got involved with the project about the time of last fall&apos;s Fort Lauderdale International Boat Show. Meanwhile, indignation over the venture continues within the industry - particularly among dealers, who fear it will hurt their businesses. "Why does the consumer need to know what our cost is?" asks Phil Keeter, president of the Marine Retailers Association of America. "What purpose does that serve?" Keeter says the price on a dealer&apos;s invoice does not include what happens to the boat at the dealership to prepare it for sale. Also, he says, there is no set invoice cost for every dealer of a specific brand. That price can be determined by many factors, including the volume the dealer does with the manufacturer. Although some people point out that websites of this type already exist in the auto industry and have done little to hurt car dealers, others say the two can&apos;t be compared. They say marine dealers, unlike auto dealers, cannot survive on margins only slightly above invoice because it&apos;s not a high-volume business like the car industry. Also, Keeter says, an auto dealer&apos;s invoice has contingencies built into it that are different from a boat dealer&apos;s invoice. "It&apos;s a completely different model," he says. "It&apos;s like apples and oranges." Taylor, however, believes consumers should have access to the data on those boat invoices. Consumers are "tired of the negotiation game," he says. "They want to feel like they&apos;re getting a fair deal and not being taken advantage of. That&apos;s the way we shop today." Although he refuses to name the site&apos;s creator, Taylor says it&apos;s a business with about 25 employees and is poised for growth. The site&apos;s technology has been "developed from the ground up," he says, and "all the software is proprietary." "It&apos;s not just a quick idea or a flash in the pan," Taylor says. "This is something that&apos;s been coming for some time, or at least evolving over time." Larry Russo Sr., owner of Massachusetts-based Russo Marine, says the fact that industry veterans are involved in the venture makes him sick. "If it were two strangers, we wouldn&apos;t feel so violated," he says. Taylor says SeeDealerCost.com is a consumer research and information site for recreational products, including boats, motorcycles, ATVs and RVs, which will be added at a later date. The site will include price information, including prices on used models, as well as dealer locator information, educational articles, FAQs, finance and insurance information, and the option to request a quote. The site, which does not sell products or services, will also explain that the dealer price does not include items such as shipping, dealer prep, taxes, fees, rigging and other items, he says. Visitors to the site will be able to register and fully identify themselves or plug in only their ZIP codes. They can then search boats by brand or type. Once they choose a model, they can pull up a detailed description, along with the MSRP and dealer invoice price. 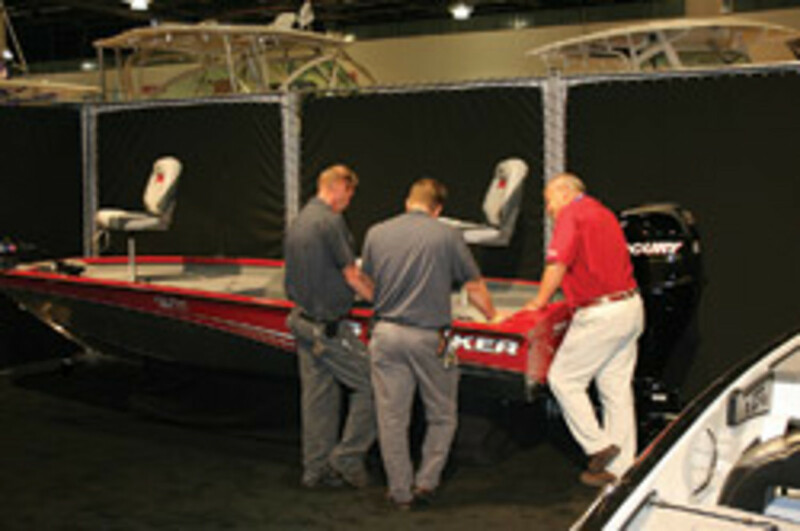 Then they can go through the boat&apos;s optional features and add any they choose. 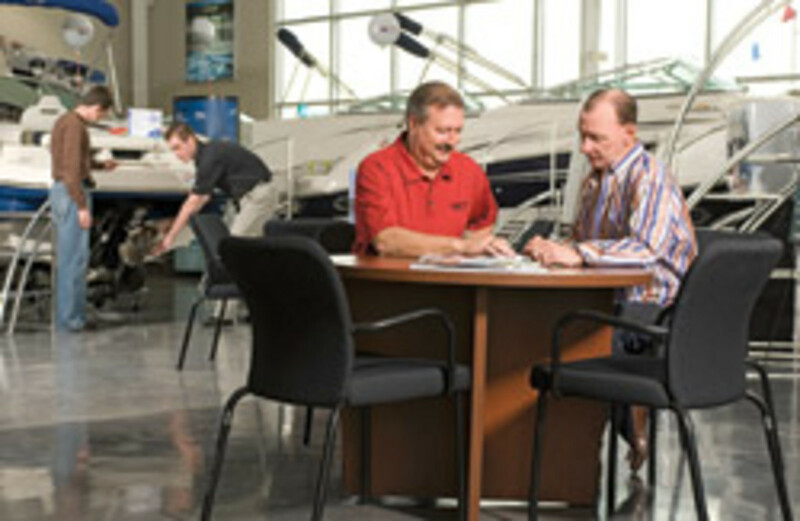 The site automatically calculates the total cost of the consumer&apos;s ideal boat in both the MSRP and dealer invoice categories. At that point, consumers can save the boat configuration and print it or have it e-mailed to them. There also will be opportunities to request quotes and receive a list of the nearest dealers who sell that model. The benefit to manufacturers that work with the site, Taylor says, is lead generation, as well as advertising opportunities on the site. The leads, he says, will be "extremely high-quality." Although he wouldn&apos;t say which manufacturers have agreed to work with the site, Taylor says the website operators are "happy overall" with a lot of the conversations they&apos;ve had with builders. However, he says, boatbuilders don&apos;t have to work with the site in order for the site producers to have pricing information. "The relationship we&apos;ll have with the manufacturer is through lead subscriptions and that kind of thing," he says. "Their information being on here doesn&apos;t mean that there&apos;s a relationship. It doesn&apos;t mean there isn&apos;t one, either. A lot of this information is collected from third-party sources believed to be reliable." Keeter and Russo question the reliability of such anonymous sources. "I don&apos;t think it provides the consumer benefit that it is perceived to deliver because it will lack substance, credibility and broad-based data support," Russo says. He also questions the quality of the leads the site will generate. "Why are they qualified leads - based on what, that they have access to the Internet?" he asks. "That makes them a qualified lead?" Taylor claims he and some of his associates attempted to meet with the MRAA about the site prior to its launch and believes the group&apos;s opinions "aren&apos;t defined by a true understanding of the site." Russo and Keeter dispute that assertion. Keeter says the retailers tried four or five times to schedule meetings but all fell through from the SeeDealer Cost.com end. "It&apos;s not on our shoulders to not have met with them," he says. "It&apos;s on their shoulders." Keeter says he has talked to many manufacturers and has not found any that say they will support the site. "I know of no one that wants to sign into the program right now," he says. "We&apos;ve gotten press releases from people like Crownline and Chaparral telling their dealer networks no, no, no, no, no, we&apos;re not involved in it." Brunswick and the Seminole Marine Group, the manufacturer of Sailfish and SouthWind boats, say they won&apos;t work with SeeDealerCost.com. "Brunswick has been approached ... and has decided not to participate in or provide information [to the site] ... at this time. We will be monitoring the development of [the site] and will actively seek input from our dealers to determine what role, if any, we should play going forward," says Brunswick Boat Group president Andrew Graves, in a letter to dealers. "We want to make you aware of this website so you can prepare for the possibility of consumers referring to dealer invoice pricing listed on this site," he adds. "It is unclear what assumptions consumers will make about the information. Because this is a new point of research for consumers, now may be a good time to discuss with your sales team the response you provide when this issue is raised by a consumer." Seminole Marine Group, also in a letter to its dealers, expresses its concerns. "We will in no way participate in any effort to provide pricing, and we ask that our dealer network do the same," the company says, adding that it has approached the National Marine Manufacturers Association, Show Management and other boat show organizers and asked them not to allow the site to exhibit at shows. The site has not booked space at any NMMA show, the association says. "Given what we know about the site, if it is successful it&apos;s likely there would need to be a shift in how manufacturers work with their dealers on pricing models," the NMMA says in a statement. "If the website is not providing accurate information, that could be problematic. However, what is good for the consumer is good for the industry in the long run. Only time will tell." Taylor argues that although many in the industry are apprehensive about the site, consumers seem to like the idea. "I have found that, on average, commissions on new boats are generally 10 to 20 percent over factory cost. Aftermarket equipment installed by the dealer is marked up roughly 40 percent and labor about 25 percent," says a boater who asked not to be identified. "I am sorry. ... Dealers are suffering, but don&apos;t forget it&apos;s not so rosy on the other side, either." The MRAA says it is working on a "how to respond" notice for its members to use when consumers walk into dealerships or to boat shows with data from the site. John Andrews, a certified yacht broker, says he has a perfect "tongue-in-cheek" response. "Mr./Mrs. Customer, are you aware of the operational cost side of being a dealer in this industry? I presume the reason you&apos;re making the point is that you must think I&apos;m making more than a reasonable profit on this potential sale. Well, then, have I got a deal for you - how would you like to invest in a very profitable business instead of spending your money on a depreciating asset?" Says Russo, bluntly: "We&apos;re going to come right out and bash it." Should the site stay up for any length of time, Russo says he would likely tell consumers, "We&apos;ve looked at this site. Our manufacturers are not supporting this site, so right now we don&apos;t know where they&apos;re getting this information, but it&apos;s not factual." Taylor says he thinks boating consumers, many of them businesspeople, understand there is a cost to doing business and that dealers need to make money to keep their doors open and provide service after the sale. But he believes that taking the mystery out of the price ultimately will help the industry. "We think it&apos;s going to be a pretty successful endeavor," he says.